Item Description: Striking from every angle, the Cerdic accent chair sits right at the intersection of contemporary style and sumptuous comfort. 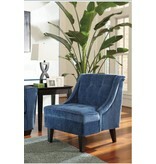 Signature elements include deep linear tufting on the back cushion, sloped arms and sleek wedge feet. 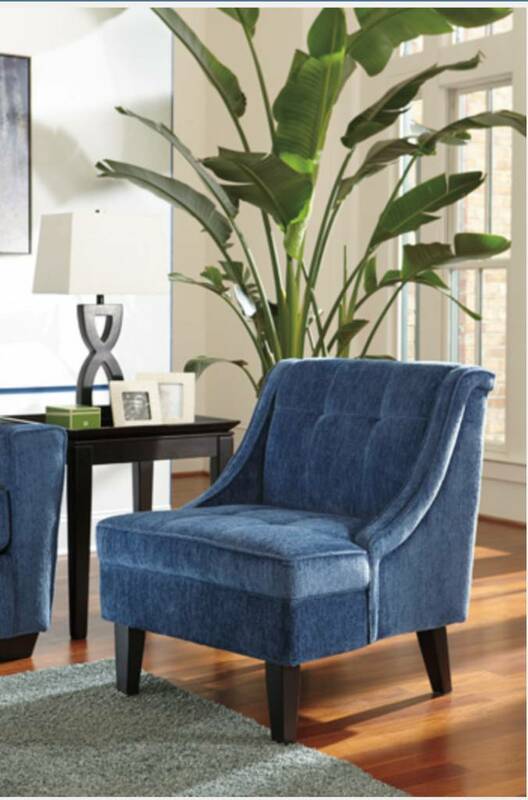 So velvety soft, the chenille upholstery is made for everyday indulgence. Item Features: Frame constructions feature corners that are glued, blocked and stapled. All fabrics are pre-approved for wearability and durability against AHFA standards. Cushion is constructed of low melt fiber wrapped over high quality foam.